So it’s March. Most of you are already in the bed. Ma Nature has been the comedienne lately. But, it’s time again to recover our knowledge. 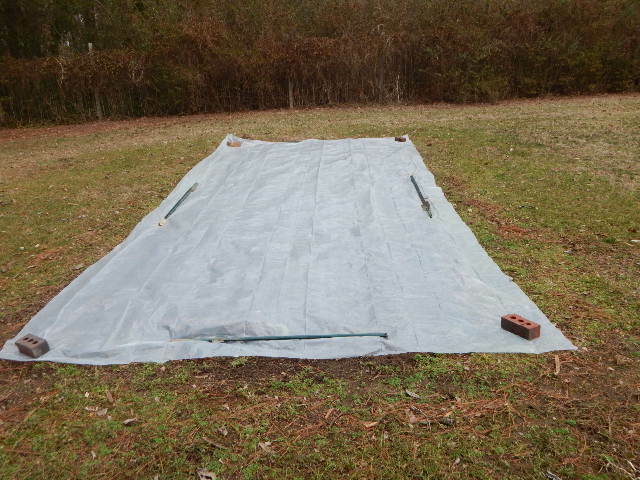 The following diatribe, is about how to Solarize a garden bed. Forsythia is about to pop everywhere in the mid Atlantic. Soil temps are heating up. So here’s the 1-2-3 about Gardening Your Soil. First, even out the beds. 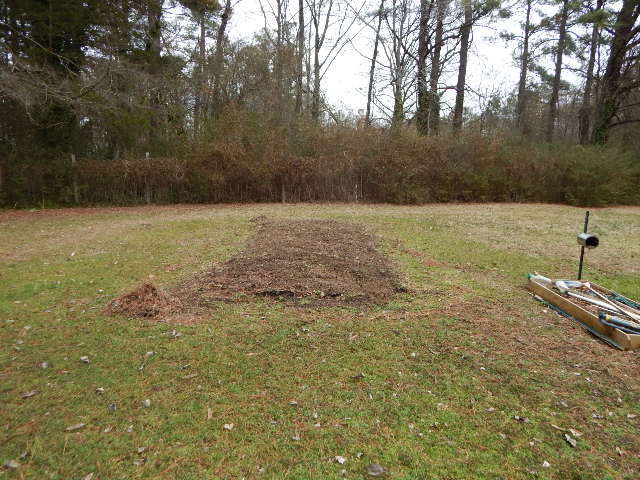 No weeding, just rake out and level, and pull out the debris. 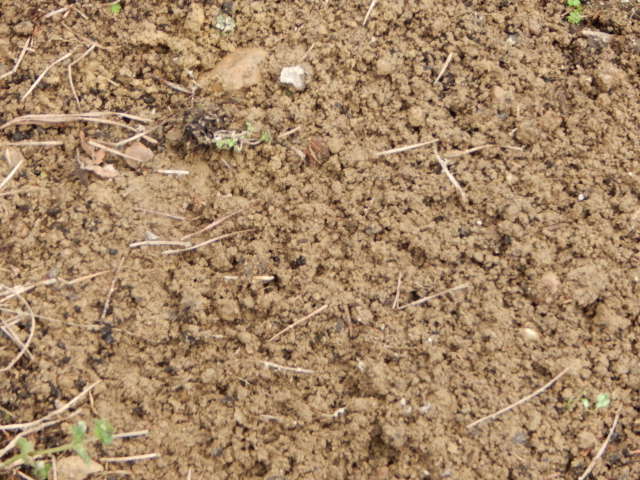 If it’s been dry, where you are, lightly water after top dressing with compost, 10-10-10, or whatever. 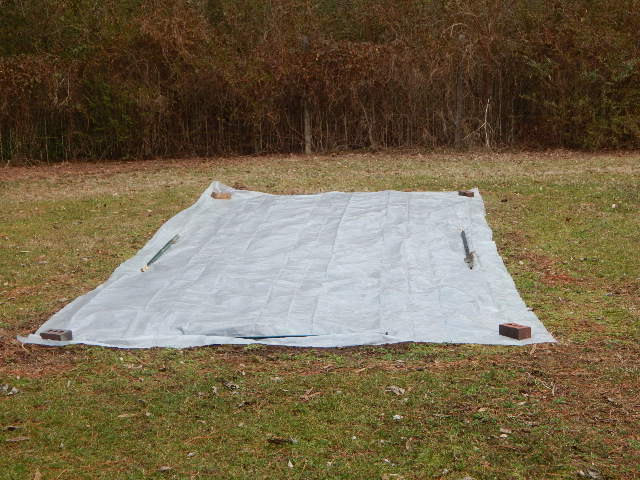 Next, top dress with about 1/2 inch compost, or a bit of 10-10-10. You are feeding volunteers, weeds, any seed that may come up later. Water lightly. Then, CLEAR plastic. Not black. Black kills. You want to “promote” growth. Bugs, included. Then stretch a clear piece of plastic across, and weight down corners and sides. You just made a terrium, and things will heat up and grow, hatch, germinate. In a few weeks, you will see this. Sometime in early April, watch the weather. “Hard frost” or “Freeze” tonight. Go look at your bed. Lime green weak looking plants, and even insect trails on the plastic.. Take it off that evening, and let Ma Mature fry everything. Ya did it. Less weeds, insects, chemicals. Yeah, it’s a chance if the weather goes right. Late snow? No problem. It will melt. Just wait for that frost. I mentioned Forsythia again earlier. When it blooms, we have gained 2 hours of daylight, and the soil temp is 58 degrees for 5 days, at 4 inches. Things will explode out. If you saw my post a few weeks ago about thawing out pipes with mirrors, then you will really get it. You, with this method of solarizing, are hastening the evolution…. See? Oh, BTW, Black plastic is no. Black plastic kills plant life IF there is green leaf. Black is good if you are killing off a spot for a future bed. In your garden, Clear promotes that germination. I know you see it now. Have fun. Get to work. This entry was posted in Compost, Dryer lint seed starting, Garden Coach, Gardening, Gardenology, New Gardeners, Organic, organic gardening, Recession Garden, Richmond Gardening, Richmond Weather, Seed Starting in Dryer Lint, Seed Starting in Richmond, Seed Starting lighting requirements, seed starting times, soil ammendments, Solar Heating Gardens, Solarization, Thawing pipes, Vegetable Gardening and tagged Clear or Black plastic, Soil solarization. Bookmark the permalink.